Remember the Creative/ZiiLabs StemCell system-on-a-chip from a while back? The one that spawned that Android PMP design? Well, the Zii project is marching on, which means new hardware, including the dual OS Trinity phone, 360º HD webcam and more. Creative and ZiiLabs are showing off a pile of Zii reference hardware to potential hardware licensors in China today, in hopes that someone will manufacture it. The Zii phone reference design, pictured for the first time above, is the only one we can see right now, and promises full 1080p video playback over HDMI, OpenGL 2.0 accelerated gaming, and support for both Android OS and ZiiLabs' Plaszma software. And that's just the phone—ZiiLabs also has a 360º full HD webcam, a PCI-E video coprocessor, a pocket synthesizer and, well, lots. But before we get to the rest of the new stuff, a little timeline for you. Back in January, Creative announced, with of an offshoot company called ZiiLabs, "Zii StemCell Computing." There were not adjectives strong enough, no superlatives super enough, no words wordy enough to describe the wonders of this StemCell computing. Unlimited Flexibility! Incredible Scalability! High Energy Efficiency! ET! CET! ER! A! 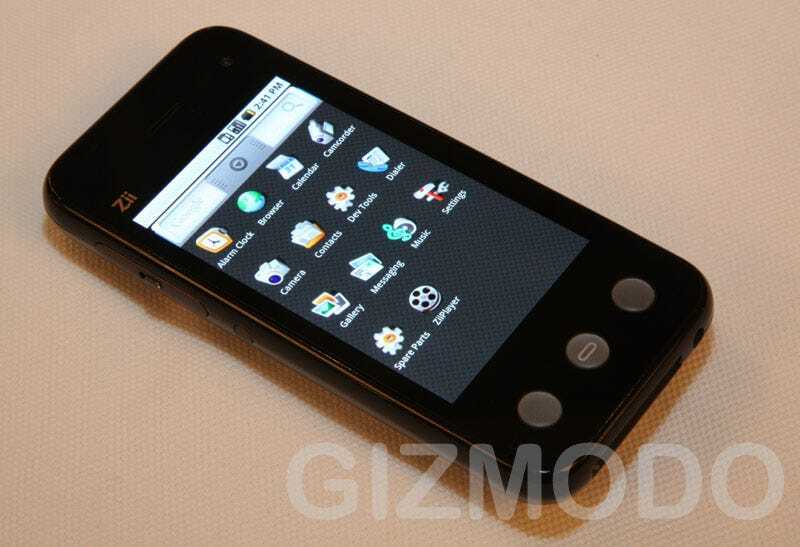 Then we were shown the Zii Egg—pictured above—which is an Android-powered PMP with an alternate OS called Plaszma. This was actual hardware—that's more like it—and it looked compelling: media playback was strong, and the device itself was hot, and most importantly for Creative, new. But this, like anything else out of ZiiLabs, was reference hardware—unless someone picked it up for manufacture, it was strictly for developers. The line-up of Zii Powered devices on display include a dual OS concept mobile phone which supports the Plaszma OS and Android OS, a desktop touch screen video conferencing device, a web-box, a 360° multi-view camera system, a PCI Express add-on card that instantly empowers notebooks with HD video encoding for high quality video conferencing, a pocket-sized synthesizer that can emulate the sound of some of the world's best pianos, as well as the world's smallest credit card-sized Blu-ray quality media player – based on the ZMS-08 chip. The headliner here is obviously the Trinity phone, which can count itself among the first wave of 1GHz Android phones, and promises serious media and 3D support. The reference hardware, as you can see, is conservatively designed, though undeniably nice—and apparently iPhone skinny. But the other Zii Wares are compelling in their own ways. The videoconferencing system can apparently process a distortion-free 360° view in full HD. The PCI Express add-on card will do video offload duties, a la Nvidia's GPGPU systems. And that little "Blu-ray quality" media player, well, I really don't know. All of the Zii hardware is propped up by the Plaszma-centric ZiiLife suite, which includes videoconferencing software with media sharing, educational software, and an app store.